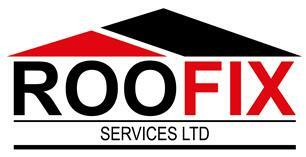 Roofix Services Ltd - Roofer based in Badshot Lea, Surrey. ROOFIX 'Your local professional roofing service' The Roofing Specialists with over 29 years of experience. Long standing members of The Confederation Of Roofing Contractors (C.O.R.C); adding peace of mind when selecting a roofing contractor. FLAT ROOFING - Traditional High Performance Elastomeric SBS Felt, Single-ply and GRP fibre-glass Systems. All flat roof systems are fully guaranteed for periods up to 30 years (Insurance backed guarantees also available). FLAT ROOFING FAST ONLINE QUOTES - Get an idea on cost.... Online quotes available now through our main website. FLAT ROOF CONVERSIONS - Cold roof to Warm roof, Flat roof to Pitched roof. ROOF REPAIRS - We are very competent in repairing All types of roofs including - Flat, Pitched, Fibre-cement, Concrete, Steel, PVC & Polycarbonate. PITCHED ROOFING - (Tiled or Slated) - Strip & re-tile, Tile replacements, Re-bedding of Ridge tiles, Verge tiles, Hip tiles. Box gutters/Valley repairs and Lead flashings. CHIMNEY - Repairing, Re-pointing, Lead flashings & Cowl fitting. PROFILED ROOFING - REPLACE or OVERCLAD an old fibre-cement roof with a PVC coated steel box profiled roof in your choice of colour. PVC, STEEL, FIBRE-CEMENT & POLYCARBONATE ROOFING - Roof or sheet replacements. Full roof conversion to a timber constructed flat roof. ROOFLINE PVCu Fascias, Soffits & Guttering - Complete house, Around flat roofs and Extensions. Full replacement or Cap over systems. ROOF MAINTENANCE - Including roof moss removal & gutter clearing. HIGH LEVEL GUTTER CLEARING - Without the need for costly scaffolding! Using the latest gutter vacuum system, for hard to reach guttering, or blocked outlets, - now accessible from the ground level. All quotations are free, and sent via email or post. This includes 'THE USE OF HEAT INSURANCE' required for torch on felt flat roof systems. Roofix - know that you the customer wants a good job done for a fair price. Roofix - know that you want your property and garden treated with respect while works are being carried out. Roofix - We have high standards that we always adhere to and believe this makes our roofing service second to none. Roofix believe that good business sense is to ensure a good job is done and the property is left clean & tidy. This ensures that you, the customer, are happy with our service and therefore happy to pay for the service.